We also produce a 0-25mm composted soil improver suitable for application on agricultural land. It is PAS 100 and Compost Quality Protocol certified and it provides a range of beneficial nutrients and physico-chemical properties when applied to land. The product contains useful amounts of all major nutrients although only potash and phosphorous is available in significant quantities in year one. 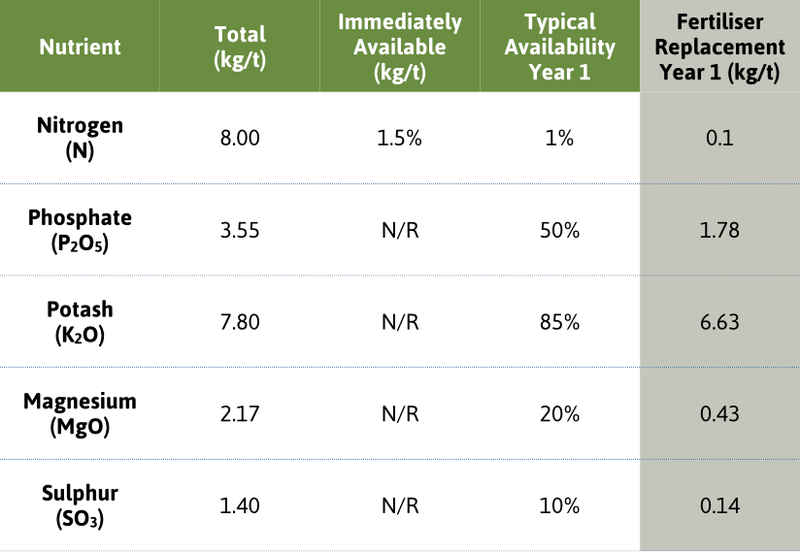 Typical nutrient levels within the compost as based upon laboratory analysis indicate that major nutrient availability will be as shown below in the table below. Please contact us if you would like to discuss any of our services or products or if you have a question about composting. Copyright © 2016 Birch Airfield Composting Services Ltd. Site by Gareth Jones.